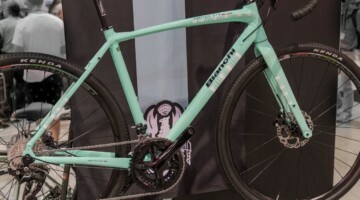 Bianchi has been busy recently with bikes suitable for gravel and ’cross. Cyclocross Magazine reviewed the Zolder carbon ’cross race bike in issue 29 and the Zurigo aluminum ’cross bike in issue 27 (Pick up your back copy today, mailed first class, or get a digital version for quicker gratification. Read it here). 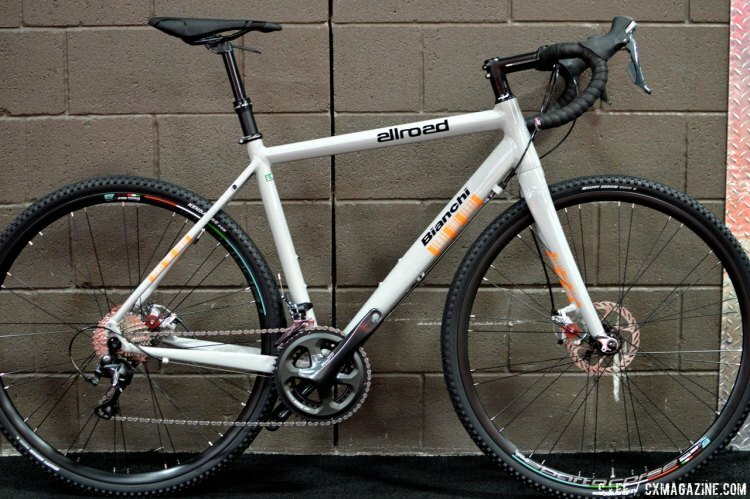 For 2016, Bianchi has the Allroad, an aluminum gravel bike with 700C wheels and disc brakes. 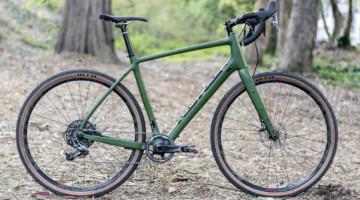 The Allroad has a compact frame design and slightly different geometry according to David Reed of Bianchi USA, yet because the bike has just arrived in the US, exact specifications are not currently available. 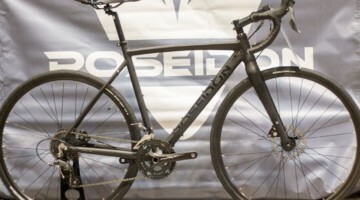 Reed says the Allroad is a road, cyclocross, mountain and trekking bike all in one. The TIG welded aluminum compact frame has a hydroformed downtube and tapered headtube, with external cable runs along the downtube. 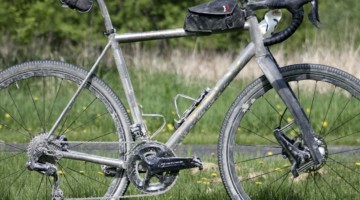 Fittings for fenders and a rear rack are present along with the dual bottle cage mounts. The Allroad is a 2016 model that will be available before the end of 2015 and it comes with two different Shimano build kits: a 105 package with Shimano wheels and hydraulic brakes for $1900, and a Tiagra-equipped model as shown with BB5 mechanical brakes. The Tiagra-equipped model on display also sported Bianchi’s private labelled paired spoke wheels shod with Kenda Happy Medium 35C tires. The Kenda 35c Happy Medium fit with plenty of room, but it did not appear that you could go much bigger than that on the rear. 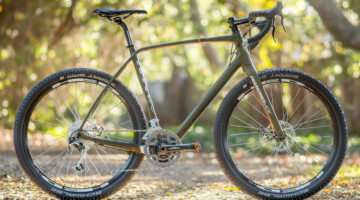 A Reparto Course flared compact drop bar gives the bike some off-road cred, and most interestingly, the Allroad comes with a dropper post. 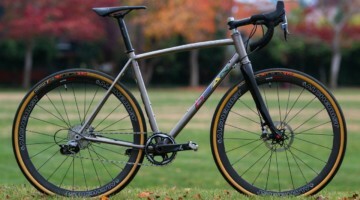 ICYMI- the All Road will fit a 38mm rear and 41mm tire on the front.